Sorry, I know I blew the spoiler alert with the cover photo and headline. If it makes you feel any better, the This Is Us plus size pregnancy storyline caused my inbox to flood before even I got a chance to watch the episode. Yet, this is a pretty big deal so I understand why a lot of This Is Us fans, especially plus size fans, are speaking (and freaking) out. To make sure we’re all on the same page below is a little recap video featuring the This Is Us plus size pregnancy storyline. Again, sorry if you’re seeing this for the first time and I hope we can still be friends! The season 2 episode, Still There, surprised us at the very end with Kate’s pregnancy discovery. I held my breath not knowing what to expect and fearing the worst. 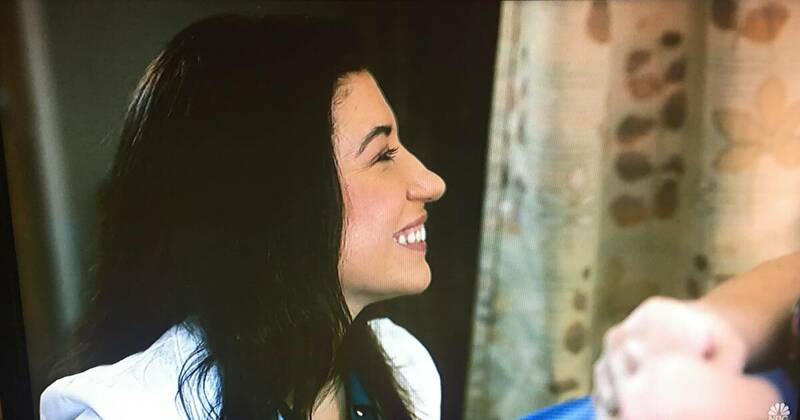 Then I saw the look on her care provider’s face…I mean why can’t all care providers look this happy during prenatal visits?! Clearly, this is the face of a size-friendly healthcare provider. All we are told is that Kate is six weeks along and currently having a healthy pregnancy. 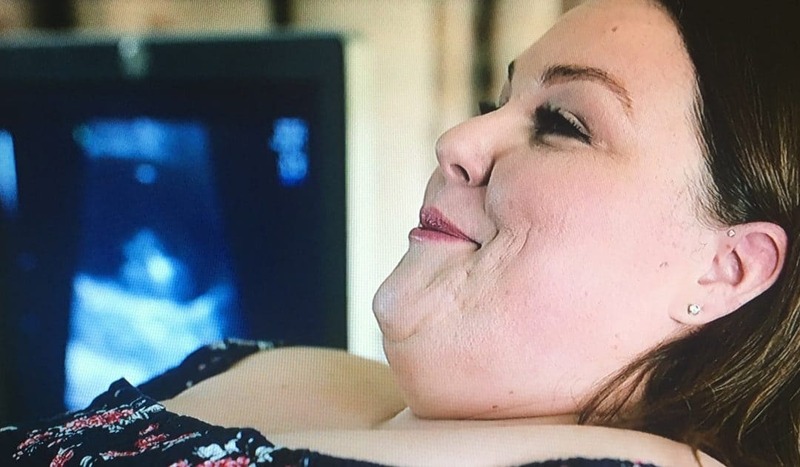 I had to rewind and watch this scene about three times – could Hollywood actually shine a positive light on plus size pregnancy? As you probably already know, just because someone is over the age of 35 and has a high BMI, doesn’t mean they are automatically going to have complications during pregnancy. People behind the show aren’t giving us much insight to the This Is Us plus size pregnancy storyline, as I’ve been all over the internet looking for any information I could share. I’m excited as well Chrissy, and hopeful things remain as positive as they’ve started off. I’ll be watching closely and writing more articles (I apologize in advance for future spoilers). 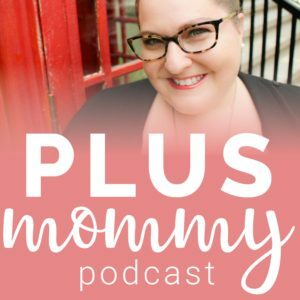 Below you’ll hear from other women who have experienced a plus size pregnancy as Plus Size Mommy Memoirs community members (and This Is Us mega-fans) are speaking out about this new storyline. I am so tired of reading comments like “she needs to lose the baby so she can have a reason get her weight under control.” As a mom to 2 angel babies that kills me. Even though I know it’s a fictional character and pregnancy, I can’t believe other women are wishing that on her. Oh Amy, it’s heartbreaking people are saying that. It’s even more so a reason why we NEED more positive narratives about plus size pregnancy. I’m incredibly sorry for the loss of your two babies. As a loss mom myself, I understand this pain. I also understand that it’s something 1 in 4 women experience and most of the time it has nothing to do with our size. All of these things. Pregnancy and birth are so unique to each and every mom/baby pair. I hope they do Kate justice and don’t use the pregnancy for a plot twist, I also hope they give a taste of thd frustrations and discrimination out there. I have never been ashamed of my weight at any stage in my life. Pregnancy was no different. I have a rare blood disorder that makes it even more dangerous to have a baby, but with the proper care during pregnancy the baby and myself were fine. I knew going in to any doctor I was not going to let my blood disorder let alone my weight ever be a factor in the way I was treated. I went in with a mission, had done my research and gave THEM an ultimatum. Either go through this with me or not. I had a great OBGYN and a high risk doc as well. I now have a beautiful 3 year old girl. Thank you for sharing your story, Tiffany.